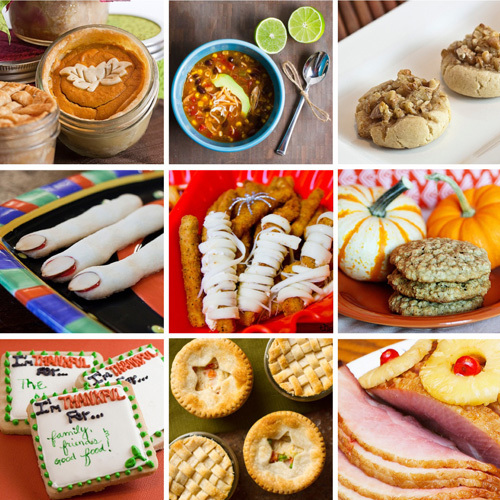 Last week, I posted the first in a series of recipes from young adult book authors. Today I’ve got another for you, just in time for Halloween this weekend! These Dead Lady Fingers are, literally, to DIE for! 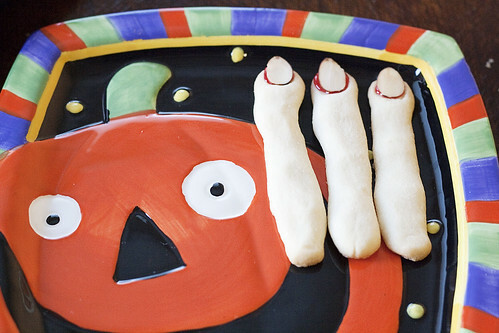 They are super-creepy and are the perfect spooky treat for Halloween! Mix the butter, flour, powdered sugar and corn starch until combined. Roll the dough into narrow fingers (the cookies will bake out quite a bit) about 1/2 inch thick and 3 inches long. Shape knuckles on the fingers by squeezing the dough. Press a sliced almond onto the fingertip to form a fingernail. Place cookies on a silpat or foil-lined cookie sheet and bake for 8 to 10 minutes. 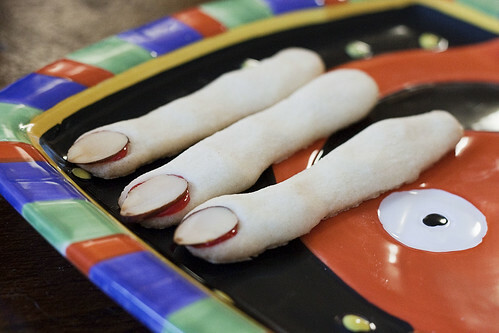 Once the cookies have cooled, remove the almond and squeeze a drop of red icing on the finger tip. Replace the almond and let the “blood” ooze around the edges of the fingernail. Let the icing dry and enjoy! My niece, River, was pretty excited about these cookies. At first, we had to convince her that the “fingers” were okay to eat. She wasn’t convinced it would be alright, though, until she put one in her mouth. They turned out to be quite tasty. 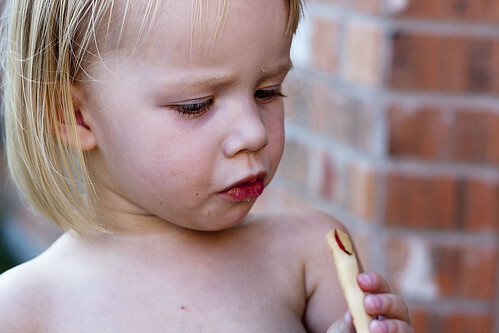 These cookies are kid tested, corrupting auntie approved!